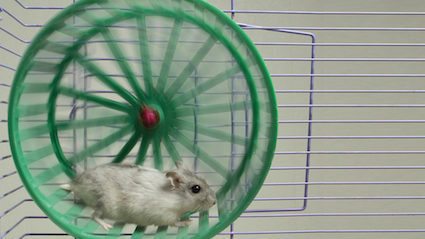 A MIDDLE-aged hamster has bought a top of the range wheel loaded with optional extras. Fourteen month-old Tom Logan said the wheel, which cost £5.99, is made of carbon fibre and is precision-engineered to give optimal spin when he is really ‘going for the burn’. He added: “I realised that I used to run about a lot when I was much younger a few weeks ago, but since then I’ve just sat in a pile of wood shavings stuffing my cheeks with sunflower seeds. “I reckon I can get up to two, maybe three miles an hour when I go for it. My thighs are really toning up. Meanwhile, friends said the purchase of the wheel coincides with a pretty young guinea pig moving in next door. CHILDREN have confirmed that if they are not asked if they need a wee-wee every minute-and-a-half, they will wet themselves. Parents attempting to negotiate the interval to a full two minutes have been firmly informed that 90 seconds is the bare minimum and really the frequency should be higher. 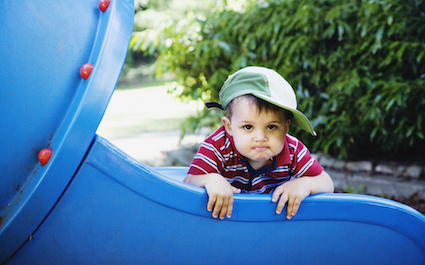 Four-year-old Tom Logan said: “Come on. You’re meant to love us. “Asking if we need to wee while you’re in Waterstones, or queuing at the bank, or going at 70 down one of those new motorways without hard shoulders doesn’t seem so hard.